On December 15, 1868, Carl Friedrich Philipp von Martius, Professor of Botany at the University of Munich and director of the Royal Botanic Garden, was carried to his grave in a coffin covered with fresh palm leaves. The fronds were a reference to his groundbreaking Natural History of Palms: a work in three volumes, published between 1823-1853. This encyclopedic treasury of 240 exquisite chromolithographic illustrations was based on Martius’s expeditions through Brazil and Peru. From 1817 to 1820, he travelled over 2,250 km (1,400 miles) through the Amazon basin to investigate natural history and native tribes with zoologist Johann Baptist von Spix. 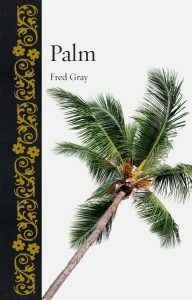 The result was an unrivalled catalogue of all known genera of the palm family, outlining the modern classification of palms, describing all the palms of Brazil, and producing the first maps of palm biogeography. Martius’s folio is unusual in its inclusion of cross-sectioned diagrams, conveying the architecture of these mighty trees, which central Europeans would have found hard to imagine accurately. Equally remarkable are the colour landscapes showing various palms-often standing alone in simple and elegant beauty. Artist/Author: Riffle, Robert Lee, Paul Craft, and Scott Zona. This completely revised and updated edition is generously illustrated with 950 photographs, of which 730 are previously unpublished making this volume valuable as an identification guide as well as a practical handbook. Interesting snippets of history, ethnobotany, and biology inform the text and make this a lively catalogue of these remarkable plants. Incorporating the most up-to-date nomenclature, this volume covers new genera that were not known in 2003, such as Dransfieldia, Leucothrinax, and Tahina, and gives particular attention to those genera that have risen in popularity in recent years, such as Coccothrinax, Dypsis, and Licuala. 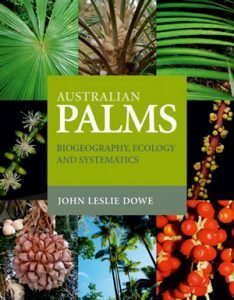 Australian palms: biogeography, ecology and systematics. Incorporating recent advances in biogeographic and phylogenetic research, this book provides a comprehensive introduction to the palm family Arecaceae, with reviews of botanical history, biogeography, phylogeny, ecology and conservation. Thorough descriptions of genera and species include notes on ecology and typification, and keys and distribution maps assist with field recognition. Colour photographs of habit, leaf, flowers, fruit and unique diagnostic characters also feature for each species. Artist/Author: Dransfield, John et al. 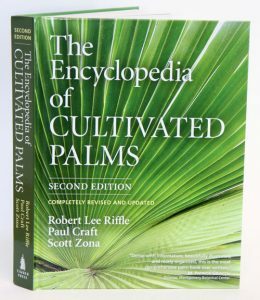 A completely rewritten edition of the acclaimed standard reference work for the palm family, a group of plants of immense economic and horticultural significance. In the new edition, genus treatments include complete descriptions, nomenclature, etymology and discussions of diversity, distribution, phylogeny, morphology, uses and ecology. All genera of palms are illustrated with analytical plates, maps and numerous photographs, mostly taken in the wild. The introduction consists of essays on the structure of palms, their pollen, cytology, chemistry, fossil record, evolution, phylogeny, natural history and biogeography, providing essential background information to the classification presented within the book. The classification itself is substantially revised and based on the latest phylogenetic evidence. 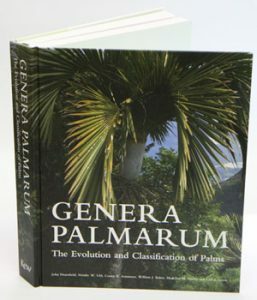 Since the first edition, published in 1987, several new genera have been discovered and the wealth of new research into the phylogeny of palms has revealed relationships not appreciated in the past, resulting in substantial reorganization of subfamilies, tribes, subtribes and genera. 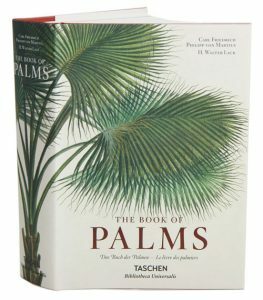 An illustrated glossary and geographical listings complete this essential reference book to the palm family. 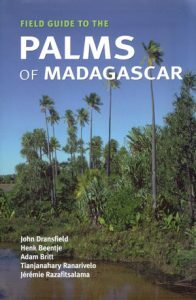 Field guide to the palms of Madagascar. Artist/Author: Dransfield, John, et al. Madagascar’s native palms are of enormous economic and biological importance. Not only are they used for food, house building, crafts and medicines, most are found in no other part of the world, they are a part of Madagascar’s great natural heritage and many are becoming increasingly rare. Simple keys and lavishly illustrated pictorial descriptions, distribution maps and diagrams of leaf, fruit and flower arrangement enable quick and easy identification. Notes on local uses, rarity and in what type of vegetation each grows in follows. 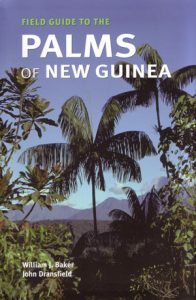 Field guide to the palms of New Guinea. Artist/Author: Baker, William and John Dransfield. An identification guide to the palms of the entire island of New Guinea, down to the genus level.